Oh boy this is gonna be fun! This is the first post in a new series called "Aha moments!" We'll start by showing you a piece of furniture that we have available in our studio inventory - and then we'll show you some similar pieces that have already been restyled to help get your creative juices flowing. Nothing too exciting here, but still a cute desk with some good bones. How much better looking is this desk all restyled in white with some cute new hardware?? You know we sell cute new hardware at the studio too, right?!? btw: I LOVE the little 'Like a Boss' print on the desktop - ooh and all the brassy gold! I honestly love it - so rich and classic looking! You could get this effect using 'Starry Night' or 'Artissimo' and some antique wax. Here's another option - one that we restyled here at the studio and shared a while back - you can really never go wrong with Chivalry grey! Oh - and some soft sweet Empathy yellow for fun! This look would add a bit more 'country' to your space and a whole lot of visual softness while also incorporating a punch of colour! 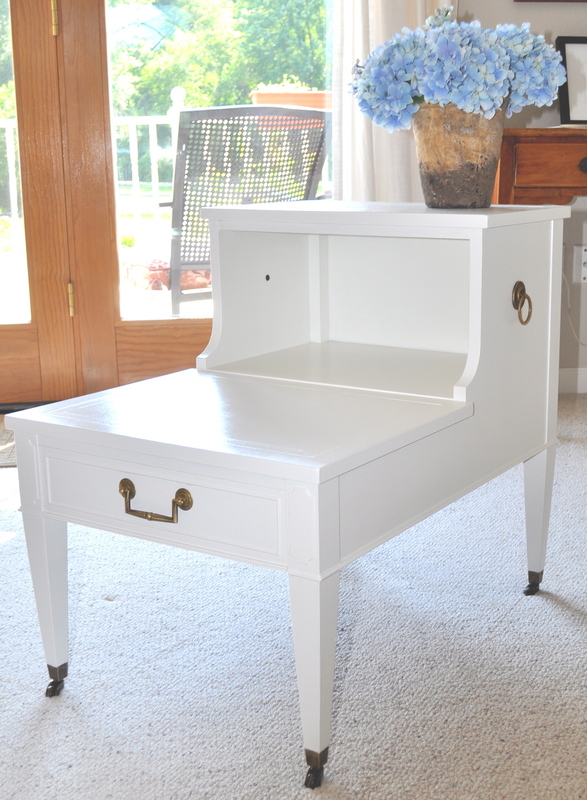 If you were to restyle this desk (or have us do it for you), which style would you go with?